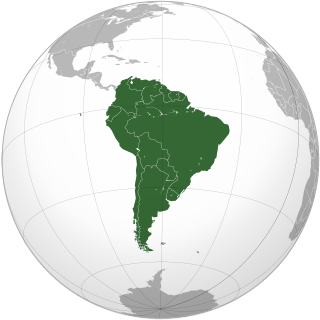 Anaplasmosis is a disease caused by a rickettsial parasite of ruminants, Anaplasma spp. The microorganisms are Gram-negative,  and infect red blood cells. They are transmitted by natural means through a number of haematophagous species of ticks. The Ixodes tick that commonly transmits Lyme disease also spreads anaplasmosis. Anaplasmosis can also be transmitted by the use of surgical, dehorning, castration, and tattoo instruments and hypodermic needles that are not disinfected between uses. Ruminants are mammals that are able to acquire nutrients from plant-based food by fermenting it in a specialized stomach prior to digestion, principally through microbial actions. The process, which takes place in the front part of the digestive system and therefore is called foregut fermentation, typically requires the fermented ingesta to be regurgitated and chewed again. The process of rechewing the cud to further break down plant matter and stimulate digestion is called rumination. The word "ruminant" comes from the Latin ruminare, which means "to chew over again". In the United States, anaplasmosis is notably present in the south and west, where the tick hosts Ixodes spp. are found. It is also a seemingly increasing antibody in humans in Europe. Although vaccines have been developed, none are currently available in the United States. Early in the 20th century, this disease was considered one of major economic consequence in the western United States. 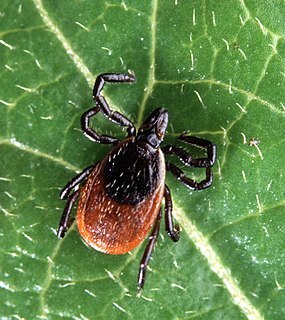 In the 1980s and 1990s, control of ticks through new acaricides and practical treatment with prolonged-action antibiotics, notably tetracycline, has led to the point where the disease is no longer considered a major problem. In 2005, A. ovis was found in reindeer populations in Mongolia. 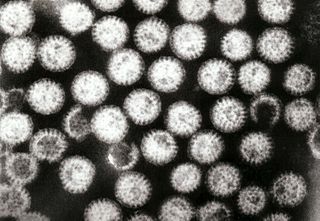 This pathogen and its associated syndrome (characterized by lethargy, fever, and pale mucous membranes) was previously observed in only wild sheep and goats in the region, and is the first observed event of A. ovis in reindeer. Theileria microti is a parasitic blood-borne piroplasm transmitted by deer ticks. 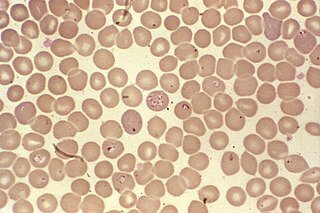 T. microti is responsible for the disease human theileriosis, similar to babesiosis, a malaria-like disease which also causes fever and hemolysis. Ticks of domestic animals directly cause poor health and loss of production to their hosts by many parasitic mechanisms. Ticks also transmit numerous kinds of viruses, bacteria, and protozoa between domestic animals. These microbes cause diseases which can be severely debilitating or fatal to domestic animals, and may also affect humans. Ticks are especially important to domestic animals in tropical and subtropical countries, where the warm climate enables many species of ticks to flourish. Also, the large populations of wild animals in warm countries provide a reservoir of ticks and infective microbes that spread to domestic animals. Farmers of livestock animals use many methods to control ticks, and related treatments are used to reduce infestation of companion animals. 1 2 Hartelt, Kathrin; Oehme, Rainer; Frank, Henning; Brockmann, Stefan O.; Hassler, Dieter; Kimmig, Peter (2004-04-01). "Pathogens and symbionts in ticks: prevalence of Anaplasma phagocytophilum (Ehrlichia sp. 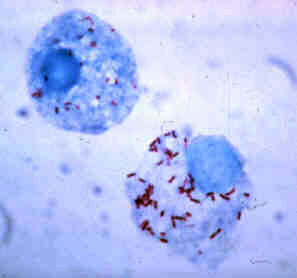 ), Wolbachia sp., Rickettsia sp., and Babesia sp. in Southern Germany". International Journal of Medical Microbiology Supplements. Proceedings of the VII International Potsdam Symposium on Tick-Borne Diseases. 293, Supplement 37: 86–92. doi:10.1016/S1433-1128(04)80013-5. ↑ Capucille, DJ (2011). "Anaplasmosis". In Haskell, SRR. Blackwell's Five-Minute Veterinary Consult Ruminant. Hoboken: John Wiley & Sons. pp. 50–51. ISBN 9780470961186. 1 2 3 Boes, KM; Durham, AC (2017). 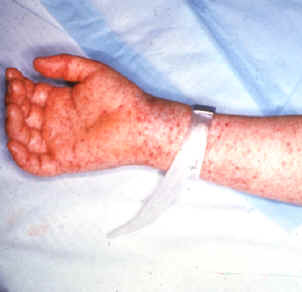 "Anaplasmosis, Ehrlichiosis, Heartwater and Tick-Borne Fever". In Zachary, JF. Pathologic Basis of Veterinary Disease (6th ed.). Elsevier Health Sciences. pp. 749–50. ISBN 9780323357975. 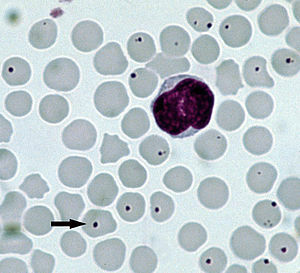 1 2 Anaplasmosis reviewed and published by WikiVet, accessed 10 October 2011. ↑ Haigh, Jerry C.; Gerwing, Victoria; Erdenebaatar, Janchivdorj; Hill, Janet E. (July 2008). "A novel clinical syndrome and detection of A. ovis in Mongolian reindeer (Rangifer tarandus)". Journal of Wildlife Diseases. 44 (3): 569–577. doi:10.7589/0090-3558-44.3.569. PMID 18689641. ↑ "George Patout Broussard", A Dictionary of Louisiana Biography, Vol. 1 (1988), Louisiana Historical Association publication, p. 114.